Ultrasonic assisted machining uses vibrational cutting generally for finishing operations to improve surface properties of the workpiece, reduce cutting force and enhance tool life. On the other side, hot machining takes advantage of thermal softening of difficult-to-cut materials during operations. This process reduces cutting forces and increases tool life. As a hybrid manufacturing method, hot ultrasonic machining is a high-rank important process emerging in the last years. This method brings vibrational cutting and hot machining together to be benefited from both techniques. Within the scope of this study, a new manufacturing system was designed for this production technique which is not common in Turkey. With this new production method, materials such as superalloys and stainless steels, which are particularly hard to machine materials in the defense and aerospace sectors, can be manufactured both by increasing the surface quality and by reducing costs such as tooling costs. With the realization of the method, advanced technology will be gained in critical areas such as defense and aviation. The designed manufacturing system is able to integrated into universal turning lathes and has a potential to be adapted to CNC machines in the near future. Ultrasonik yardımlı işleme, takıma veya iş parçasına belirli bir titreşim uygulanarak iş parçasının işlenmesi süreci olup son işlem uygulamalarında yüzey özelliklerinin iyileşmesi, kesme kuvvetlerinin azalması ve takım ömrünü arttırılması amacıyla uygulanır. Sıcak işleme ise talaş kaldırması zor olan malzemelerin termal yumuşamasını sağlayarak kesme işleminin kolaylaştırılmasını amaçlayan bir işlemdir. Bu işlem sayesinde kesme kuvvetlerinde azalma ve takım ömründe artış görülmektedir. İşlenebilirliği zor malzemeler için son yıllarda ortaya çıkan en önemli melez yöntemlerden biri ise sıcak titreşim yardımlı talaşlı işlemedir. Bu işlem ultrasonik yardımlı işleme ile sıcak işlemeyi birleştiren yeni bir melez imalat yöntemidir. Bu çalışma kapsamında ülkemizde yaygın olmayan bu üretim tekniği için yeni bir imalat ünitesi tasarımı yapılmıştır. Bu yeni üretim yöntemi ile özellikle savunma ve havacılık sektöründe işlenebilirliği düşük olan süperalaşım, paslanmaz çelik gibi malzemeler hem yüzey kalitesi arttıralarak imal edilebilecek hem de takım maliyeti gibi masraflar azaltılacaktır. Yöntemin hayata geçmesiyle de savunma ve havacılık gibi kritik bir alanlarda ileri teknoloji edinilerek milli bir birikim sağlanmış olacaktır. Tasarlanan imalat ünitesi üniversal torna tezgahlarına ilave bir modül olarak eklenebilmekte ve ileride CNC tezgahlar için de yaygınlaştırılabilme potansiyeline sahiptir. Brehl D.E, Dow T.A., Review of vibration-assisted machining, Precision Engineering, 32(3): 153-172, (2008). Brehl D.E., Dow T.A, Garrard K.S., Microstructure fabrication using elliptical vibration-assisted machining. Proc ASPE, 39: 511–514, (2006). Shamoto E., Suzuki N., Tsuchiya E., Hori Y., Inagaki H.,Yoshino K., Development of 3-DOF ultrasonic vibration tool for elliptical vibration cutting of sculptured surfaces. CIRP Ann, 54: 321–324, (2005). Shamato E., Ultraprecision micromachining of hardened die steel by applying elliptical vibration cutting, JSME News,16: 1–4, (2005). Ahmed N., Mitrofanov A.V., Babitsky V.I., Silberschmidt V.V., Analysis of material response to ultrasonic vibration loading in turning Inconel 718, Materials Science and Engineering: A, 424(25): 318-325, (2006). Babitsky V.I., Mitrofanov A.V., Silberschmidt V.V.,Ultrasonically assisted turning of aviation materials: simulations and experimental study, Ultrasonics, 42(1–9): 81-86, (2004). 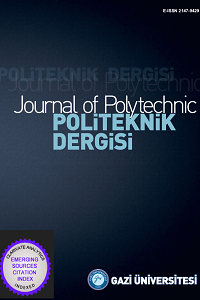 Cakir F., Gurgen S., Sofuoglu M., Celik O.N., Kushan M.C., Finite Element Modeling of Ultrasonic Assisted Turning of Ti6Al4V Alloy, Procedia - Social and Behavioral Sciences, 195: 2839-2848, (2015). Khajehzadeh M., Akhlaghi M., Razfar M.R., Finite element simulation and experimental investigation of tool temperature during ultrasonically assisted turning of aerospace aluminum using multicoated carbide inserts, Int J Adv Manuf Technology, 75: 116, (2014). Maurotto A., Muhammad R., Roy A., Babitsky V.I., Silberschmidt V.V., Comparing Machinability of Ti-15-3-3-3 and Ni-625 Alloys in Uat, Procedia CIRP, 1: 330-335, (2012). Patil S., Joshi S., Tewari A., Joshi S.S., Modelling and simulation of effect of ultrasonic vibrations on machining of Ti6Al4V, Ultrasonics, 54(2): 694-705, (2014). Shamoto E, Suzuki N, Moriwaki T, Naoi Y., Development of Ultrasonic Elliptical Vibration Controller for Elliptical Vibration Cutting, CIRP Ann. - Manuf. Technol., 51(1): 327–330, (2002). Ahn JH, Lim, HS, Son SM., Improvement of Micro-Machining Accuracy by 2-Dimensional Vibration Cutting, Proc ASPE, 150–153, (1999). Nath C, Rahman M., Effect of Machining Parameters in Ultrasonic Vibration Cutting, Int. J. Mach. Tools Manuf., 48(9): 965–974, (2008). Nath C, Rahman M, Andrew SSK., A Study on Ultrasonic Vibration Cutting of Low Alloy Steel, J. Mater. Process. Technol., 192–193: 159–165, (2007). Muhammad R, Roy A, Silberschmidt VV., Finite Element Modelling of Conventional and Hybrid Oblique Turning Processes of Titanium Alloy, Procedia CIRP, 8: 510–515, (2013). Zhou M, Eow YT, Ngoi BKA, Lim EN., Vibration-Assisted Precision Machining of Steel with PCD Tools, Mater. Manuf. Process., 18(5): 825–834, (2003). Suzuki N, Nakamura A, Shamoto E, Harada K, Matsuo M, Osada M., Ultraprecision Micromachining of Hardened Steel by Applying Ultrasonic Elliptical Vibration Cutting, IEEE, 221–226, (2003). Weber H, Herberger J, Pilz R., Turning of Machinable Glass Ceramics with an Ultrasonically Vibrated Tool, CIRP Ann. - Manuf. Technol., 33(1): 85–87, (1984). Xiao M, Sato K, Karube S, Soutome T., The Effect of Tool Nose Radius in Ultrasonic Vibration Cutting of Hard Metal, Int. J. Mach. Tools Manuf., 43(13): 1375–1382, (2003). Kim JD, Choi IH., Micro Surface Phenomenon of Ductile Cutting in the Ultrasonic Vibration Cutting of Optical Plastics, J. Mater. Process. Technol., 68(1): 89–98, (1997). Kim JD, Lee ES., A Study of the Ultrasonic-Vibration Cutting of Carbon-Fiber Reinforced Plastics, J. Mater. Process. Technol., 43(2–4): 259–277, (1994). Xiao M, Karube S, Soutome T, Sato K., Analysis of Chatter Suppression in Vibration Cutting, Int. J. Mach. Tools Manuf., 42(15): 1677–1685, (2002). Tabatabaei SMK, Behbahani S, Mirian SM., Analysis of Ultrasonic Assisted Machining (UAM) on Regenerative Chatter in Turning, J. Mater. Process. Technol., 213(3): 418–425 (2013). Lotfi M, Amini S., Effect of Ultrasonic Vibration on Frictional Behavior of Tool-Chip Interface: Finite Element Analysis and Experimental Study, Proc. Inst. Mech. Eng. Part B J. Eng. Manuf. (2016).